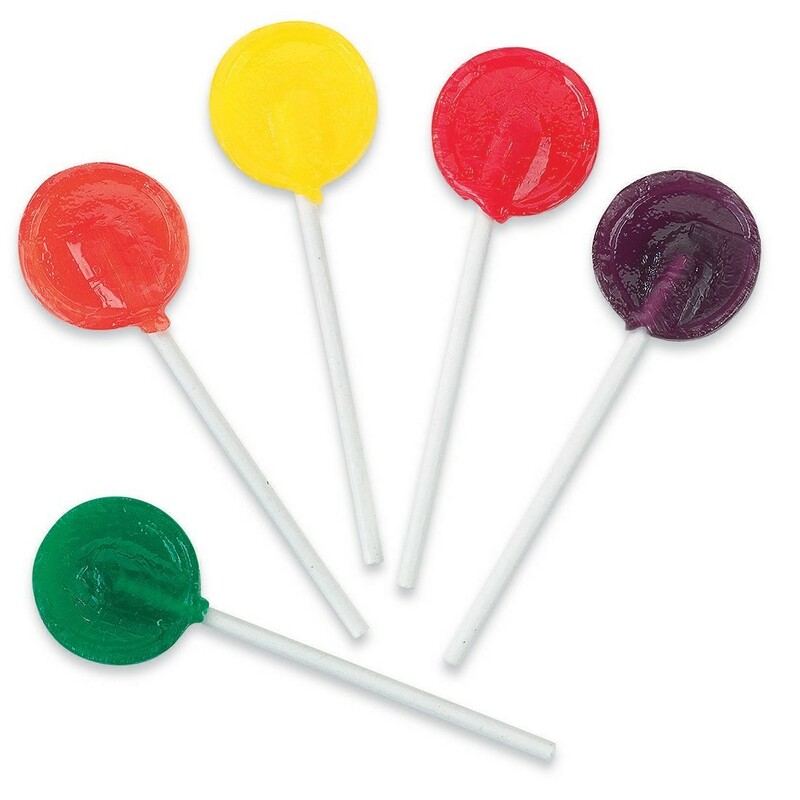 Delicious and colorful lollipops! These sugarless sweet treats are great giveaways to children and adults alike! Flavors include lemon, lime, orange, grape and cherry. Approximately 160 lollipops. Ingredients: Polyglycitol syrup, citric acid, natural and artificial flavors, sucralose, Isomalt and Red 40, Yellow 5 and Blue 1.